The Chief Rabbi of Holland, Rabbi Binyomin Jacobs, says there's no difference today between anti-Zionism and anti-Semitism. 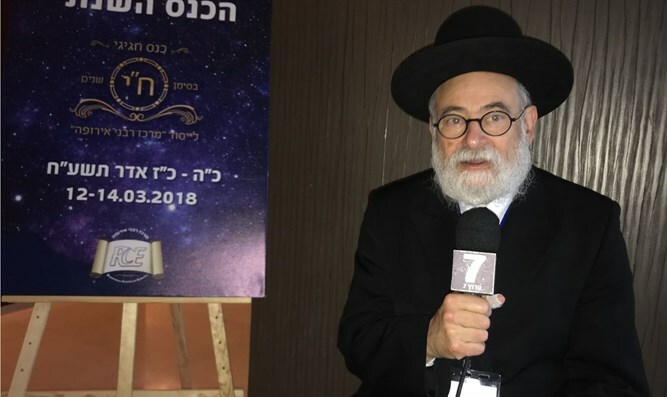 The Chief Rabbi of the Inter-Provincial Chief Rabbinate of the Netherlands and Director of Holland’s Vaad Harabbanim, Rabbi Binyomin Jacobs, spoke to Arutz Sheva at a conference of the Rabbinical Center of Europe (RCE) which took place in Bucharest, Romania. “For me, the lectures are great and the friendship is great, but what I got the most from this conference is that afterwards, when I go back to my [country] and other rabbis go back to their [countries], we will know where to turn to in case of problems,” he continued. “In Holland, the Jewish schools are surrounded by a fence, security cameras, security guards and soldiers. 43 years ago such a scene was unthinkable. It was unthinkable that people would call me ‘dirty Jew’ in the street. Today’s it’s normal, and the very fact that it’s normal is a very very negative issue,” said Rabbi Jacobs.